Today i received my Google Wave invitation which i applied for about 2 weeks ago. You can request your invitation from here. 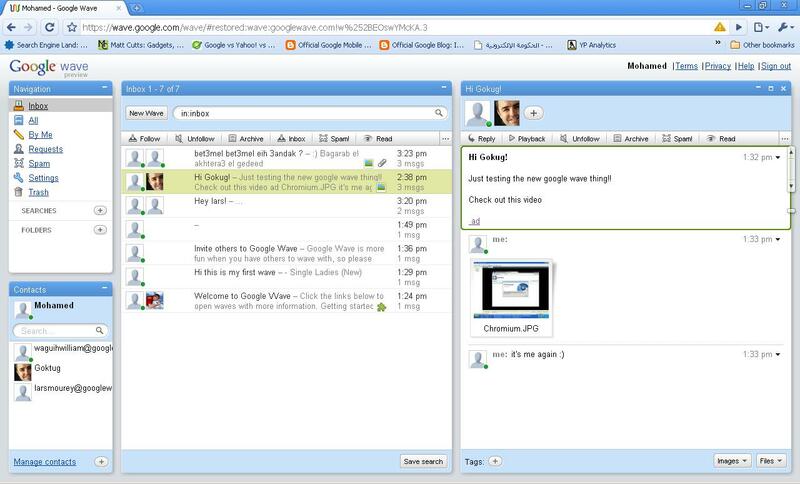 The idea behind Google wave is to replace the email system which was invented 40 years ago with a more modern and advanced communication media. The wave or a communication stream is a single entity that is stored at Google server and allows people to communicate, cooperate and collaborate. Share their media, photos, videos, and gadgets and even chat in a real-time manner. You can say it is something trying to put all the social media and web 2.0 buzz that we see these days. Imagine when you receive an email and you reply to it. Then after a couple of days the same person wants to send you another email, so he replies to your old email and talks about a new topic… isn’t that a mess an email that has something that is not related to the original email subject… How would this happen in Wave? much worse. What i want to say is that wave will only work good if people get the right education to use it… and it becomes a culture… otherwise it will be one of those things that looked good at the beginning and then started to make our life more complicated after this like emails and mobile phones! Pay Per Click campaign: Is it successful?